Keep it clean and save money. Read below. When the indoor and outdoor fans and the compressor are running and the room is still too warm, it may be a result of an dirty condenser coil. 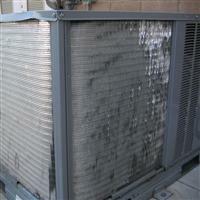 The outdoor condenser coil should be cleaned annually with a pressure washer. Any build-up in the condenser will reduce the air flow and coat the fins of the coil which inhibit the heat transfer to the outdoor air. 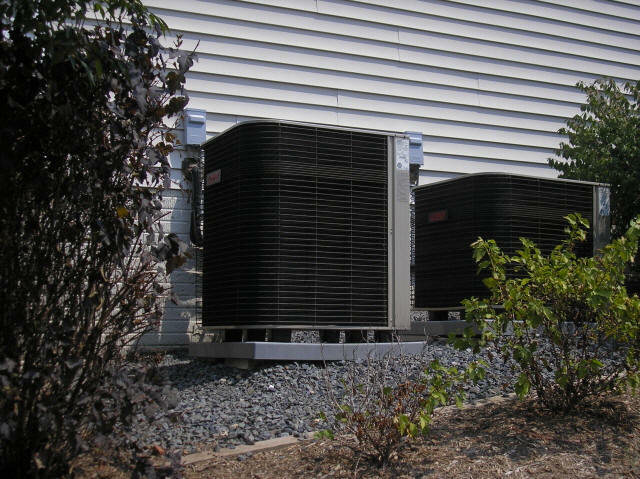 If the air conditioner can't discharge it's heat, it won't absorb heat from the building. Dirt builds up on the air inlet side of the coil. We check the proper side of the coil. Even if the surface of the coil looks clean, we look closely between the fins. A lot of dirt can hide between fins of the coil. Try holding a flashlight on the opposite side of the coil; you should be able to see the light clearly through the coil. 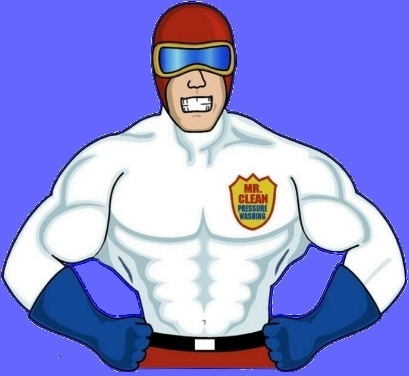 If you can't see the light or if it is dim, you need to give us a call to have it cleaned. As you can see in the picture above, it was cleaned correctly and looks like new again. Some people have tried to clean it theirselves and we have seen other companies try to clean condensers. Below you will see what others have done by not knowing the correct way of cleaning the coils. It took an idiot to do this. Not only did he mess up, he didn't stop doing it. No, it isn't funny. The homeowners were out of thousands of dollars. Please don't try to do it yourself. 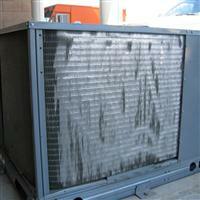 We have been cleaning condenser coils for more than 36 years; we know what we're doing.